Clover Tool Manufacturing Limited is Canadian based and owned, privately held company. 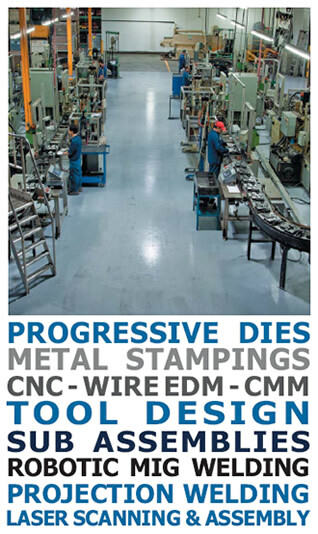 We specialize in automotive tooling, stampings and assemblies. We are capable of running a number of diverse projects. You can view our IATF 16949:2016 Certificate: here (PDF). Clover Tool has grown steadily since its inception in 1979, first as a tool and die shop and more recently as a manufacturer of finished and semi-finished components. The original operation, housed in a 2000 square foot shop in Concord, was strictly a tool and die business. By 1989, Clover Tool acquired a 14,000 square foot facility and employed 30 people. In 1993, a stamping operation was added, and subsequently Clover Tool became a supplier of finished and semi-finished components. With the new partnership of tooling and stamping, Clover Tool flourished and expanded its operation several times. 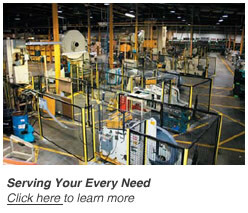 Today, Clover Tool operates in over a 175,000 square foot facility providing a full service solution to its customers. From prototyping, tooling, R&D work, stamping, assembling and welding to finished product, Clover Tool and its dedicated staff are committed to our customers requirements and wishes.